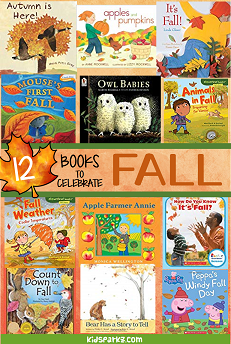 Here are some of my favorite vintage and newer FALL or AUTUMN themed books (fiction and nonfiction) that can be used when planning lessons and curriculum for preschool, preK and Kindergarten children. These fall books can be purchased from Amazon, but if you are not ready to buy yet, just click on the cover image to take a look at the description, and reserve them online from your local library. If you are not able to see all the images, please refresh the page.